Here's a new interpretation of a Messenger Bag. It is smaller in size, perfect for an iPad or small computer and your essentials such as wallet, keys, and phone. 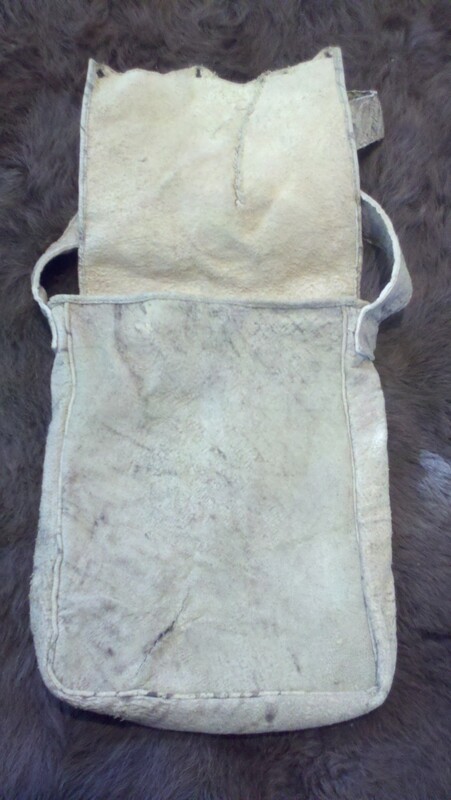 This leather is essentially "tipi" leather. The Native American's skinned the buffalo in such a way that when it was in the frame, they would sew the legs back together with real sinew forming an overall trapezoid shape of the hide. This maximized the surface area of the hide for use in making tipis. 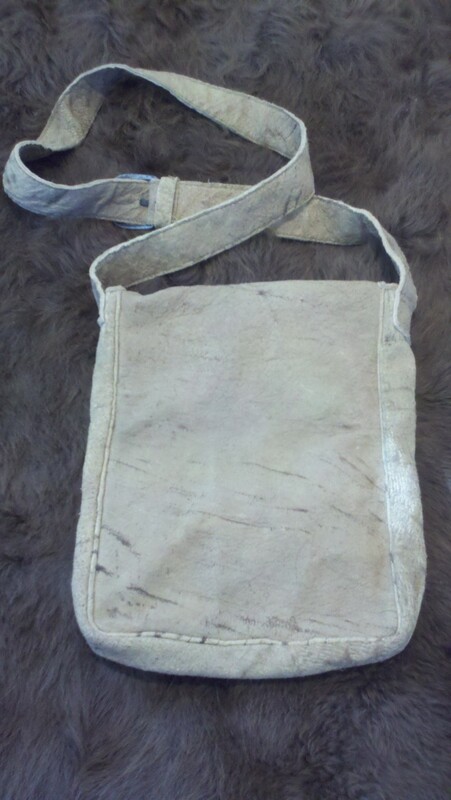 This bag has part of one of those seams showing in its flap as well as the holes in the edge where it was in the tanning frame. 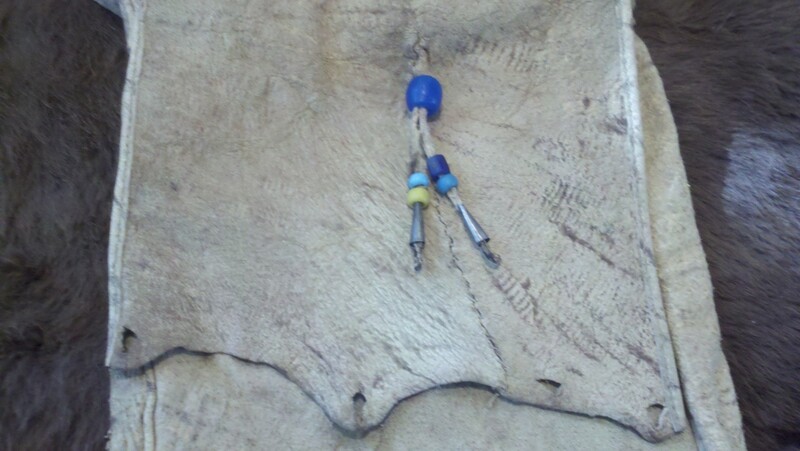 The natural tie is decorated with rare antique trade beads and tin cones. 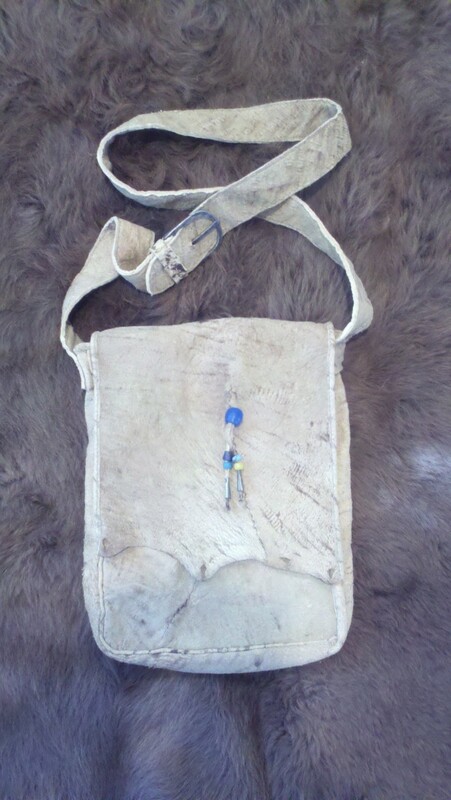 This bag is all hand made from hand tanned, brain tanned, all natural bison leather. The seams are all welted and are sewn with waxed linen thread. The adjustable strap is double thickness to prevent stretching. The buckle is hand forged. Overall dimensions: 12"x9" with a 1.5" gusset. This bag is made to order and requires 4-6 weeks delivery. There will be slight variances to what is shown given the natural differences in leather and availability of beads and buckles. 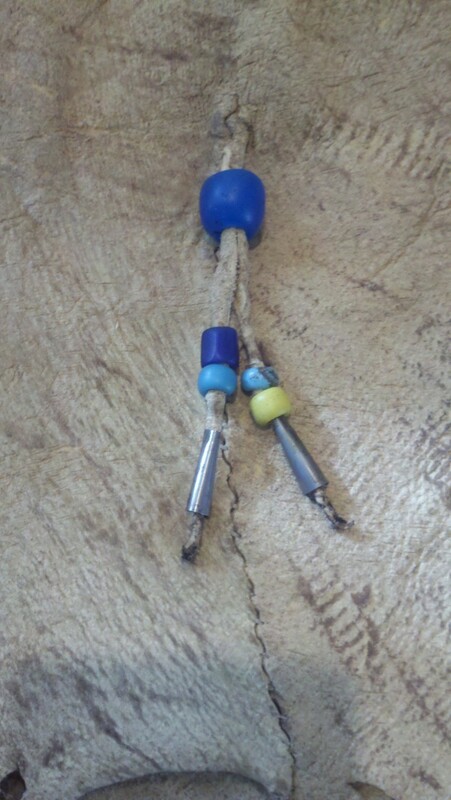 Check out my blog at Keri DeWitt Designs and our Wind River Trading Company.